Difficulty: Class 2,3 and 4. Suitable for all skill levels and children above 8 years. *Please Note: Trips have been relocated to Thunder Alley due to low water levels, please contact us directly to discuss before booking. 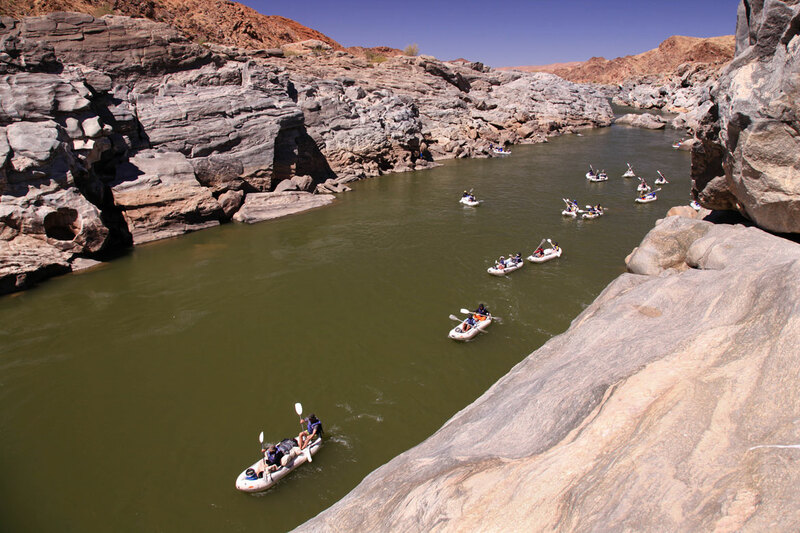 Starting near Pofadder in the Northern Cape, this section of the river is arguably the best on the Orange River and offers a variety of conditions, from flat water with flowing channels, lots of exciting small rapids and a few ‘Big Ones’ to get the adrenaline flowing. 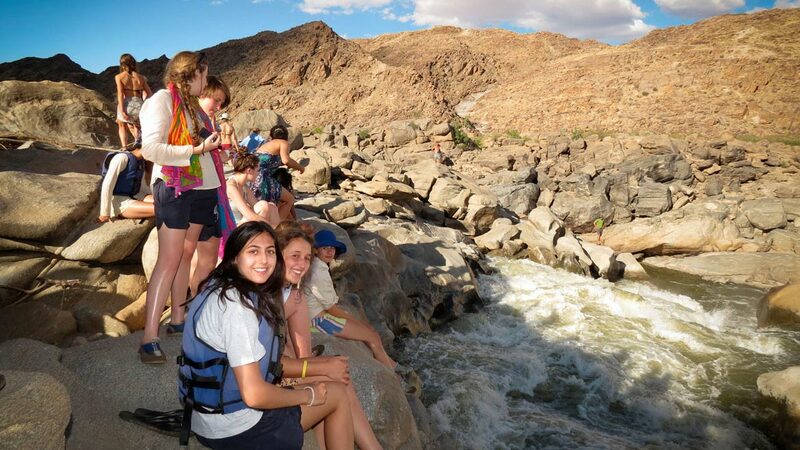 The scenery is awesome with highlights being the Orange Gorge and the Richie Falls – the second highest waterfall on the river, after Augrabies. 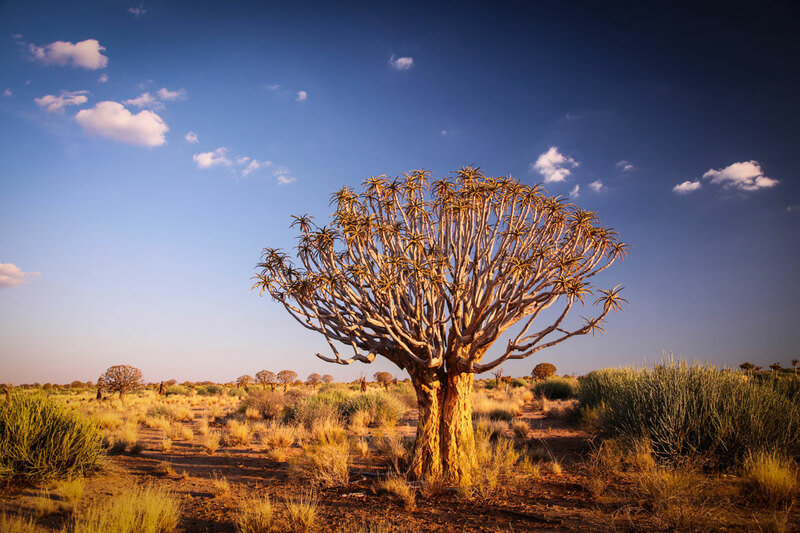 This area has been designated as pristine wilderness and of extreme biodiversity importance and it is our privilege to be able to share it with our clients. At high water it becomes an exciting whitewater trip. We use inflatable two person boats that are easy to paddle and steer. We also have rafts that are very stable and perfect for less confident paddlers (dependent on water level – medium to high level only). 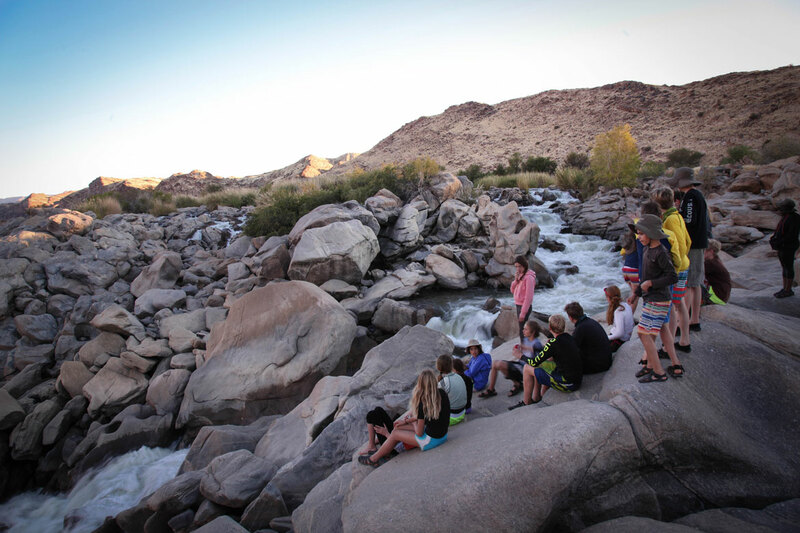 Our standard trips are four days and five nights long – we camp for three nights on the river and spend two at the base camp. Three day, four night trips are also available and longer expeditions can be arranged for group bookings. Gravity’s base camp, Red Rock River Camp, is set on the banks of the river and your guides will meet you here on the evening before your trip begins. 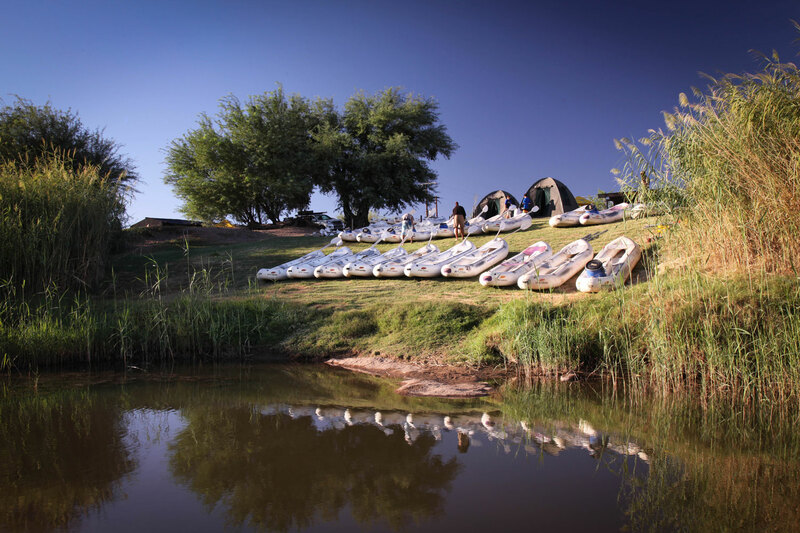 There is ample grass to set up your camping spot for the night and this is also where you will leave your vehicle whilst you are on the river with us. 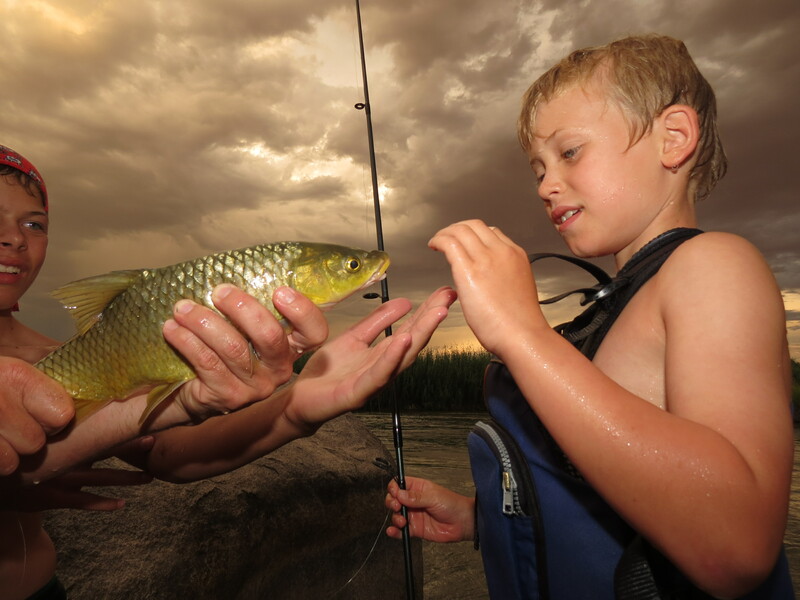 There are basic ablutions, including flush loos, a bar service and easy access to the water for a refreshing dip or trying your hand at catching (and releasing) some Yellowfish. You also have the option to upgrade to a walk in canvas dome tent with stretchers or to guest house accommodation in the village (subject to availability). Our start and ends points are on the SA side of the river so NO border crossing or passports are required. We cover just over 35kms during the trip so there is ample time to relax, read your book or explore the camp surroundings. Each trip is run as a self-contained wilderness expedition – we carry everything we need and take everything back out again at the end. This trip will provide you with a complete break from reality – no electricity, cell phones, computers and no stress. It is truly an opportunity to recharge your batteries and reconnect with yourself and nature. We make our way down river, choosing a different campsite each night. All you need to provide is your personal gear and drinks of your choice. All meals are included, as are qualified guides, boating and safety equipment. On the evening before your trip begins, you will be welcomed to the Gravity base camp by your guides. Relax and enjoy the view over the river or have a drink at the bar. You’ll enjoy a light supper under the starry night sky around the campfire. Next morning, after a hearty breakfast, your guides will give you advice on how best to pack your dry bags for your trip down river. 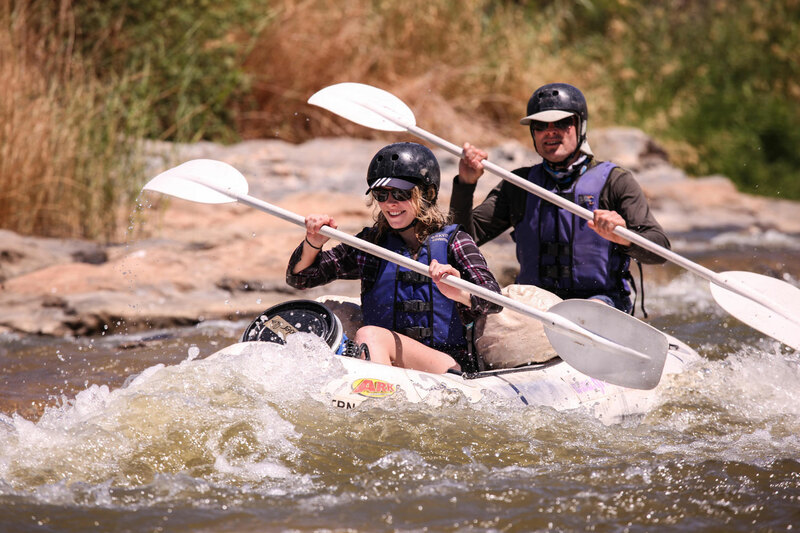 Before getting on the water you’ll also have a thorough safety briefing and some paddling instruction. Then, it’s time to get going for four days of relaxation and excitement! 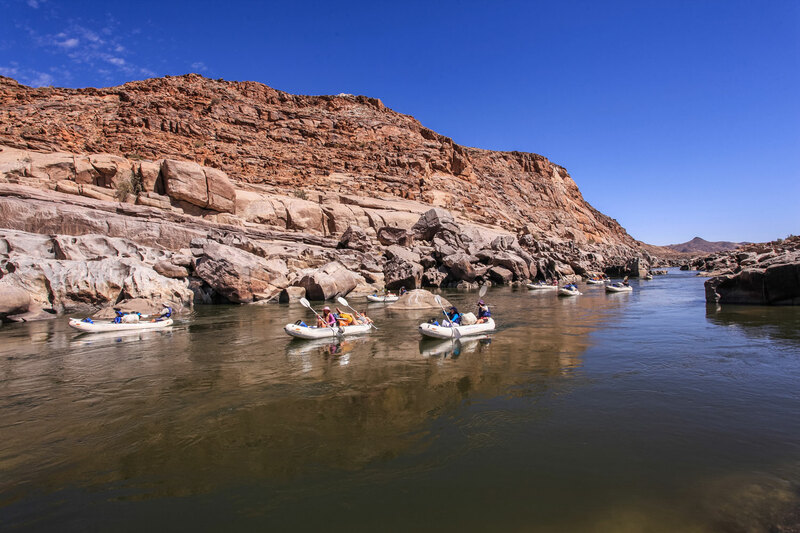 The first day’s paddling consists mainly of flowing channels and flat water ending with Scorpion. Day 2 brings bigger rapids and an evening walk to view the amazing Ritchie Falls. Day 3 is full of excitement with a challenging portage around the Falls, lowering the boats in above ‘42 man hole’, ‘Big Bunny’ and ‘Dolly Parton’ rapids. As you leave the gorge on day 4, things mellow out once again and the last section is just gentle paddle with mountains increasing in size around you. The group will be met at the take-out after lunch and transported back to base camp to enjoy a final meal around the campfire. (Above itinerary may change slightly according to trip, season and water level). 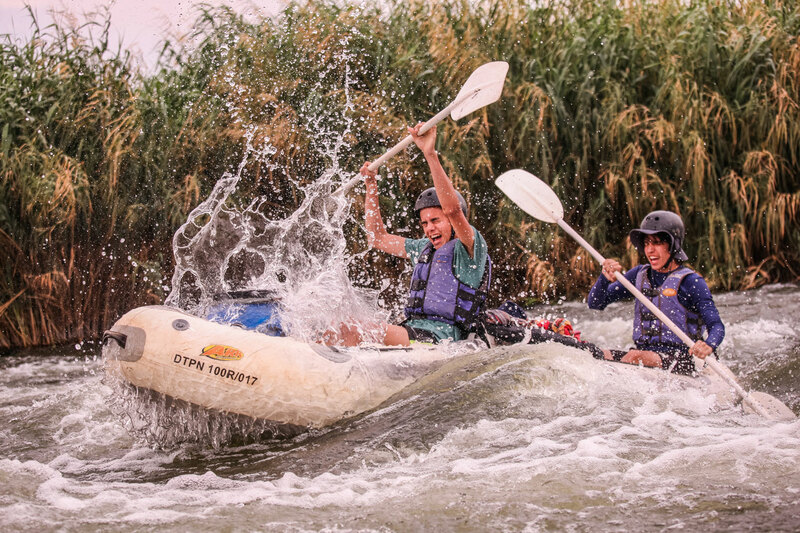 You will spend the nights before and after your river trip at the Oranjedal Guest House on the Rooipad Grape Farm. Your guides will welcome you to Onseepkans and chat with you regarding packing arrangements etc. They will also prepare a delicious dinner which you’ll enjoy under the stars at Wild Paradise Camp. On the morning of your trip, you’ll meet back at Wild Paradise, set on the banks of the river. If you prefer, you also have the option of camping at Wild Paradise. We cover just over 35kms during the trip so there is ample time to relax, take photographs, read your book or explore the camp surroundings. Each trip is run as a self-contained expedition – we carry everything we need and take everything back out again at the end. We make our way down river, choosing a different campsite each night. All you need to provide is your personal gear and a sense of adventure! We will provide you with a tent, inflatable mattress and sleeping bag. 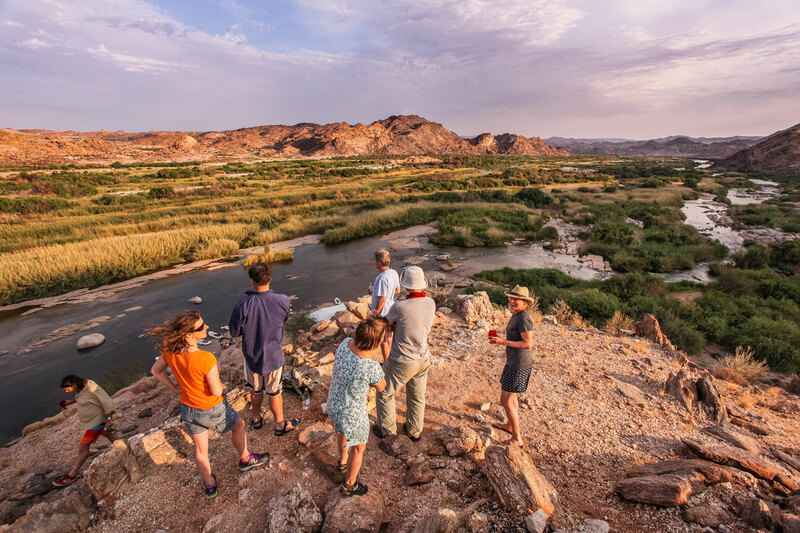 Our guides will set up camp for you each night and prepare delicious meals, served at table, with some South African wine (wine with dinner only). You will provide us with a list of your drinks of choice (for your own account) and we will purchase them on your behalf and make sure they are kept on ice. All meals are included, as are qualified guides, boating and safety equipment. We will provide a detailed kit list and can purchase any missing or hard to find items of your behalf. We can also arrange customised t-shirt, kikois or any other items required for your group. 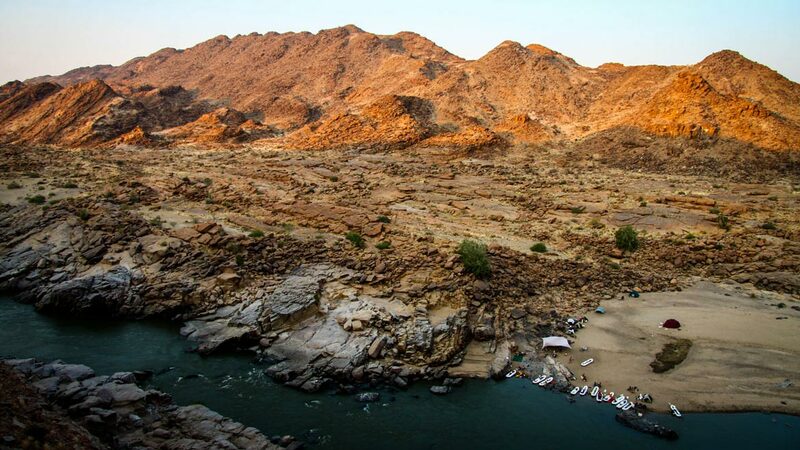 3 Days, 4 Nights – 2 nights at base camp and 2 nights on the banks of the river. 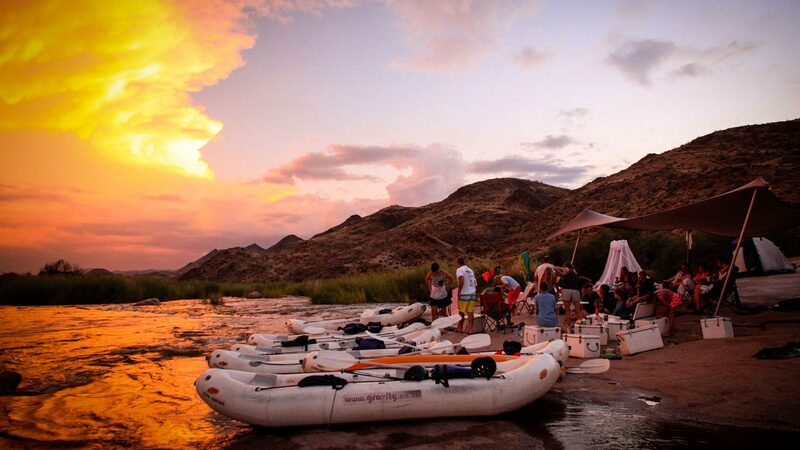 4 days, 5 nights – 2 nights at base camp and 3 nights on the banks of the river. 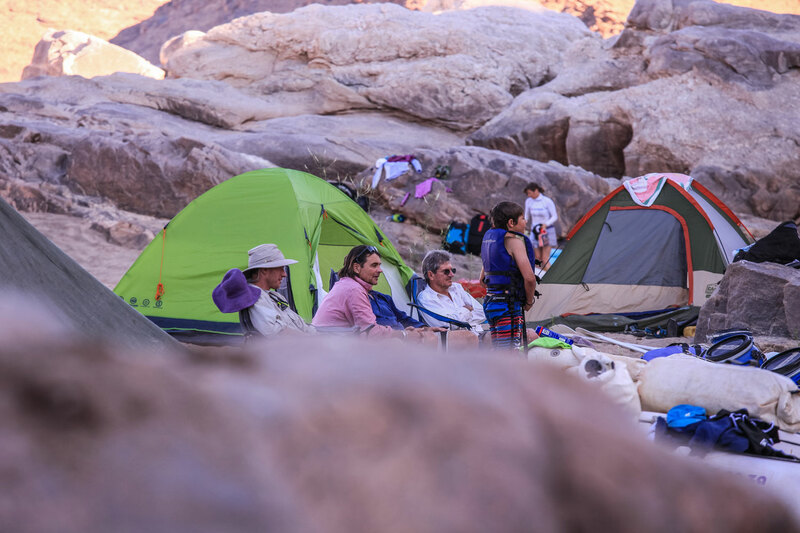 Please Note: Your trip price includes TWO nights in base camp and ALL meals, unlike most other river operators. Minimum group size: 12(smaller groups can be organized by arrangement), Maximum group size : 24 ( bigger groups by arrangement. Minimum group size: 4 (smaller groups by arrangement), Maximum group size: 12. Are you a member of APA? Yes, we are Operating Members of APA and our guides are APA members, trained, qualified and experienced. Do you have your SAMSA Licence to Operate? Yes we do, we were the first rafting operator to become compliant with the law. It includes all of your meals, from the evening of your arrival, to a light breakfast on the morning of your departure, camping at base camp on your first and last nights, 4 full days and 3 nights on river (3 days and 2 nights if doing a 3 day, 4 night trip), qualified and experienced guides, all boating and safety equipment and no, you don’t have to bring your own loo paper! We also provide crockery and cutlery. You can drive up in your own vehicle or we can recommend a vehicle rental company or coach with driver. The road is a good tar road all the way up from Cape Town and takes around 9 hours. The road is also good tar coming in from the Gauteng direction. The last section of +/- 50 kms to the camp is usually a good dirt road. This road does, however, become difficult after heavy rain (not common in this area). We recommend that you contact the Pofadder Police Station (tel: 054 933 0022) or Onseepkans Police Station (054 951 0002) to check the condition of the road and choose the alternative route if required. Full directions will be supplied on confirmation of booking. We can also make recommend accommodation en route for you if you’d like to do the drive over two days. Fly in tours can also be arranged. No, you don’t. The trip starts and ends on the South African side so no border crossing is required. Our base camp is a grassed campsite on the river banks. Rustic ablutions and flush toilets are provided. 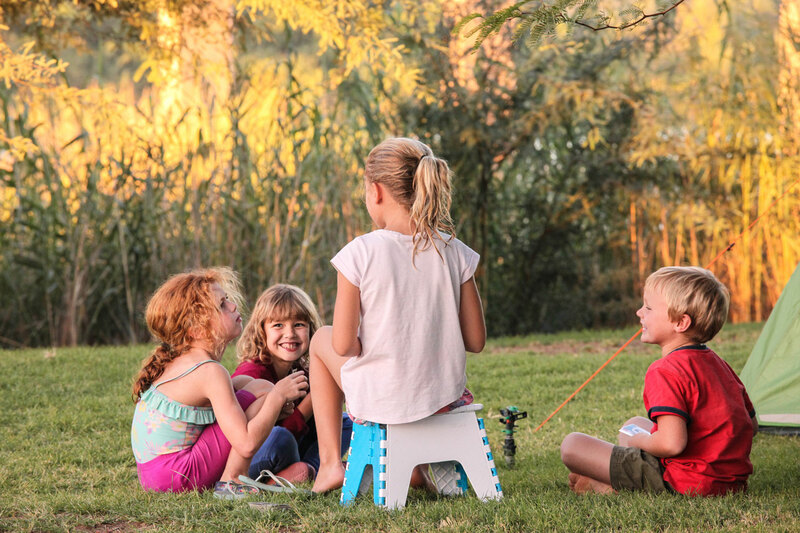 On river, we’ll be free camping – all catering equipment is supplied. You can also upgrade to a dome tent or to a nearby guest house for the nights in base camp. On river, your guide will give you a thorough briefing regarding ablution procedures. Generally, you will wash in the river – we don’t supply showers or hot water on standard trips but these are provided on upgrade trips. We usually use the environmentally friendly ‘cat hole’ toilet method (don’t worry – your guide will explain!) but, depending on the season and the size of your group, may also provide a porta-loo. A full kit list will be supplied on confirmation of booking. Remember that whatever you choose to bring will get very dirty so don’t bring your new clothes! Will my clothes & sleeping bags get wet? 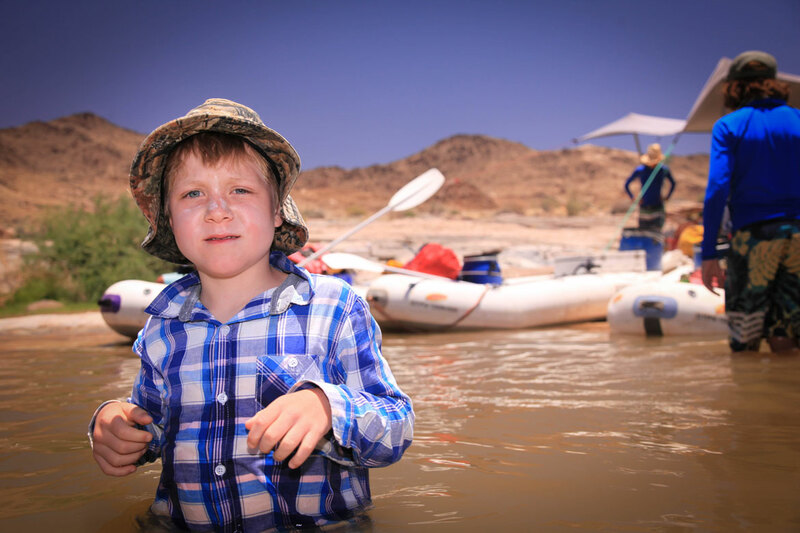 There are no guarantees on a river trip but it’s extremely unlikely – you will be supplied with a dry-bag, which will keep your clothes dry even if the bag lands in the water. You can also pack your clothes into black bags inside the dry bags to make sure. Your guides will explain to you the best way to pack your bags. Space is sufficient but limited so don’t bring too much with you. Yes. Although there can be no guarantees on a river trip, we do provide watertight dry buckets for cameras, binoculars etc. It is also worth considering buying a disposable waterproof camera. Do I need to be fit? What if I’m not a strong swimmer? We use 2 person inflatable ‘crocs’ that are very stable and easy to paddle, even for beginners. 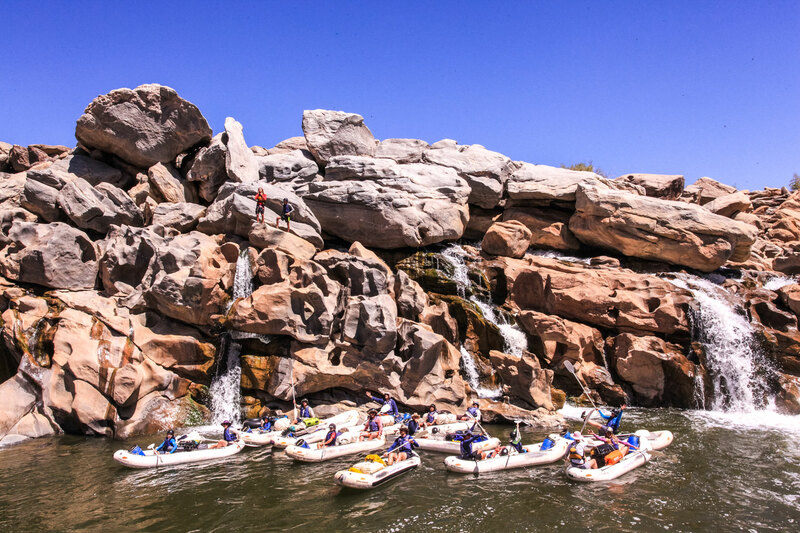 This section of river has lots of fun rapids and a few challenging runs. There is therefore quite a good chance that you’ll have at least one swim! You will be equipped with a PFD (‘lifejacket’) and will have been given instruction on exactly how to behave if you fall out of your boat. We also use only highly trained guides who will be on hand to rescue you if required. You also have the option of requesting our very stable 5-person raft, which is steered by a guide (dependent on water level– medium and high levels only). 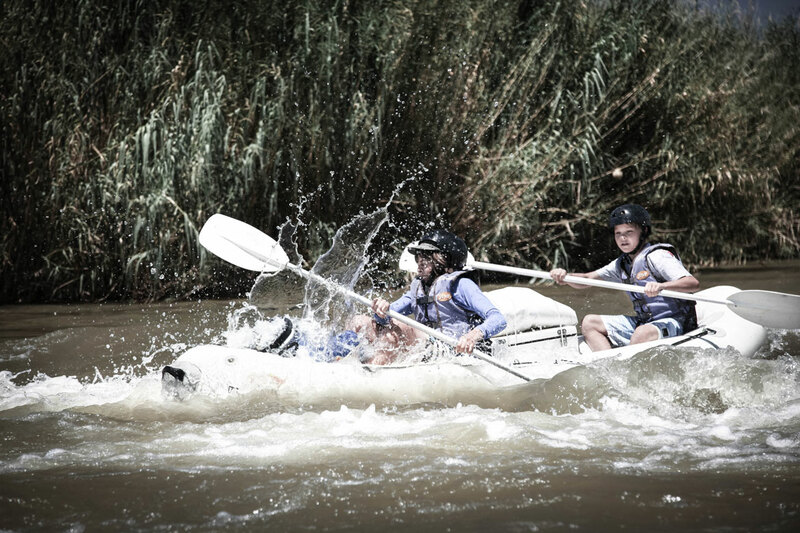 Whilst there is an inherent element of risk in every adventure, running rivers with our professional guides should not be considered dangerous. Our guides are all trained in First Aid and we carry a First Aid kit. It is your responsibility to inform the guides about any allergies or medical conditions you may have and to make sure you have any personal medication with you (e.g. asthma pumps, allergy medication etc.). This trip does take place in a remote wilderness environment where evacuation can be difficult and time consuming but we have put plans in place to cope with any emergencies. We do not carry a sat phone as there is cell coverage from high points at various locations along the river. In general, evacuation by helicopter is not possible due to the rough terrain and the distance from the nearest helicopter but in our 19 years of operation, we have not needed it! Gravity provides all meals but you can bring your own choice of drinks. We will supply you with cooler boxes but if you intend bringing a large amount of canned drinks, it is worth it to bring your own cooler box as well. It’s also a good idea to bring drink mix such as Game, which can be mixed with water – purified water will be supplied at each stop. Generally, the water is clean enough to drink but we use water purification tablets to be on the safe side. In summer (September-April), days are very hot (30-40 degrees) and the nights are also warm. In between seasons, the days are still warm but the nights can be quite cool – a change of warm clothing and a good sleeping bag are required. In winter (June-August), days are warm (20-25 degrees) and nights (and water) are cold. 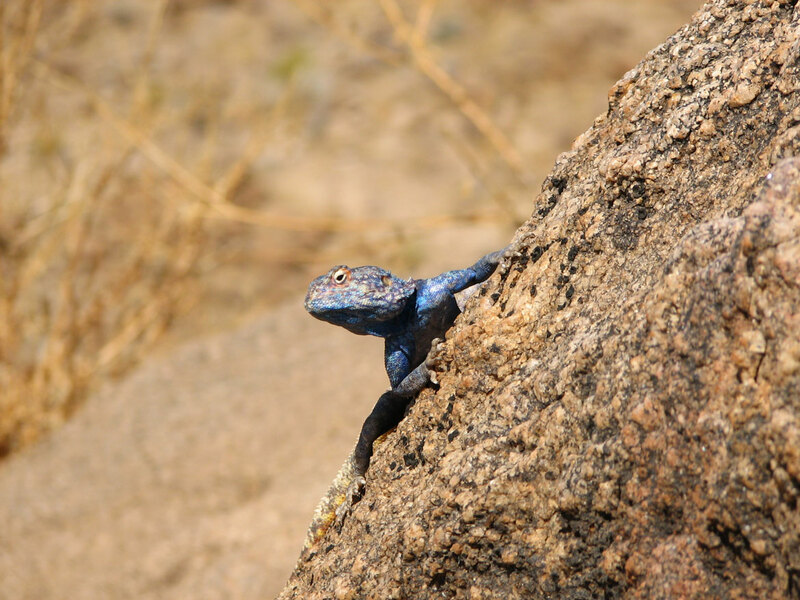 The rainy season is late summer but since this is a semi-arid region, rain is not a frequent occurrence. Thunderstorms do sometimes occur but are usually over quickly. We pride ourselves on providing our clients with the best in bush cuisine. 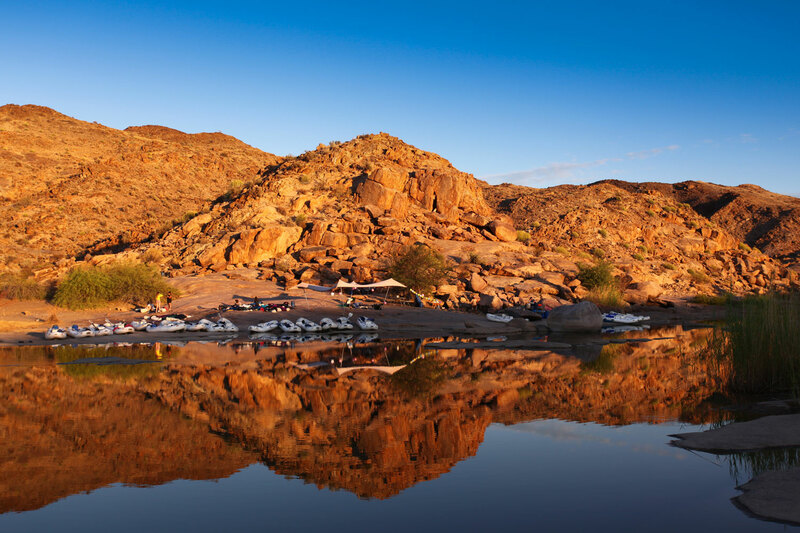 All meals are prepared fresh on the river and consist of hearty, healthy main courses, followed by desert. Sundowner snacks are also served. We generally limit our group sizes to less than 24 per group – small groups are easier to control and, therefore, safer and the negative impact on the environment is minimised. Finally, we have found that a small group size results in a better and more intimate trip for our clients. The APA code of safety requires us to warn you against consuming alcohol or drugs in the 8 hours preceding the trip as well as at all times on the water. 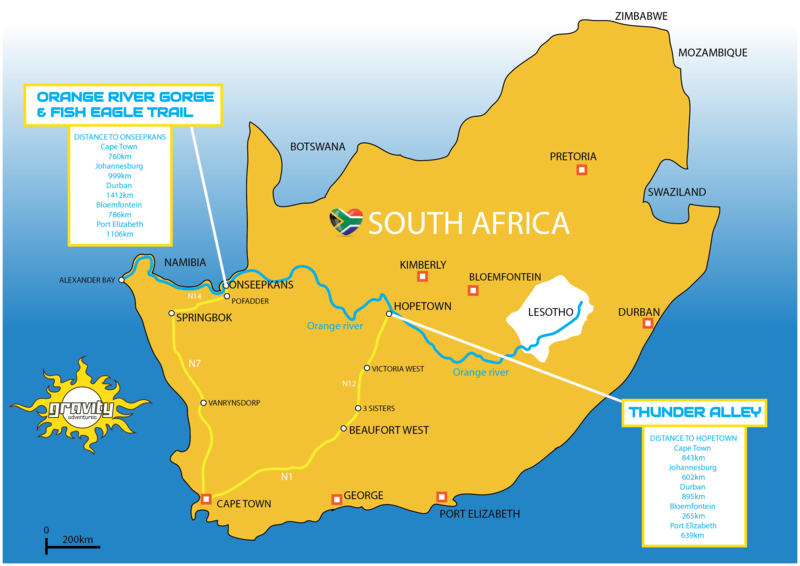 To book, we will need a completed booking form as well as a 25% deposit into the following account: Gravity River Tours, FNB, Claremont branch: 200109, account: 623 790 739 60. Your booking is NOT confirmed until we have received both completed the form and payment. Please make sure to reference your deposit with your name and the dates of your trip e.g. “Smith Gorge Dec 12-15”.